Please note this is a bespoke customised item, so average delivery time is 6 working days. 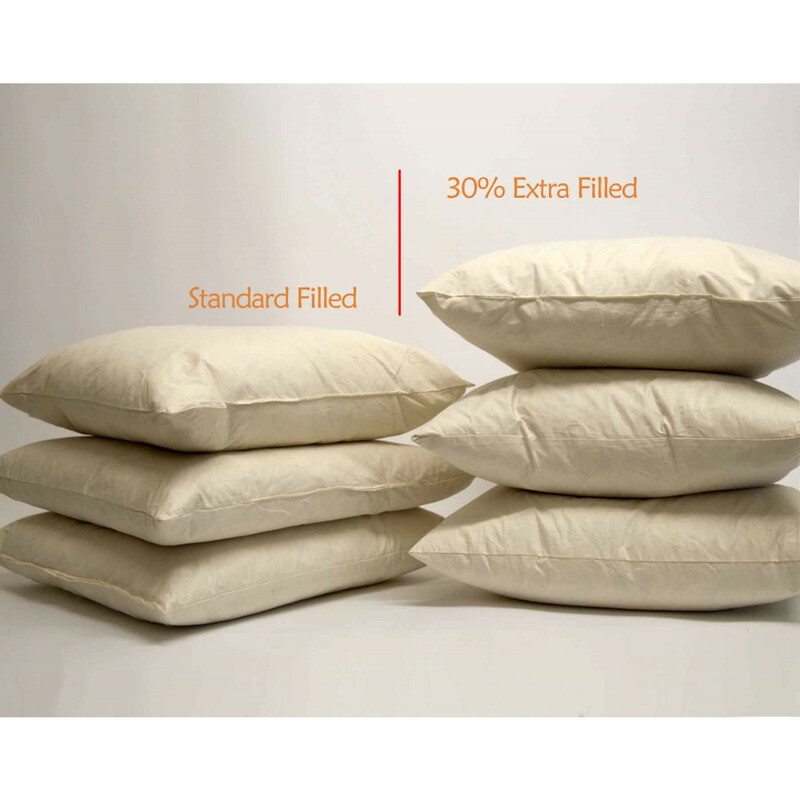 Our 25% extra duck feather filled square cushion pads bestows extra bounce and softness to you. Its extra filling will give additional support to your back and lumbar region that you will surely love. Cased with lavish 100% cotton with cambric down proofing cover prevents feathers to peep out of the fabric, letting you experience the ultimate comfort. Bedding mill offers extra filled square cushion pads in various sizes. You can easily pick them according to your requirements. Sizes available: 16" x 16" , 18" x 18", 20" x 20", 22" x 22", 24" x 24" and 26" x 26"